3rd January 2017, Mumbai: Team Pumpkin, a leading Digital Marketing & PR Agency operating out of Mumbai, Delhi and Bangalore has won digital marketing mandate for Shop CJ. It's an electronic channel dedicated to teleshopping. The consumers can select from a wide variety of products offered on Shop CJ, 24x7. They have awarded various digital mandates to Team Pumpkin. The mandate includes execution of various digital activities like social media management, content marketing and creation of Digital Assets among others. Team Pumpkin lives and breathes by the motto - ‘We are the artists using science to grow the business.’ This principle has helped them bag new accounts and strengthening ties with old clients. Their current list of clientele includes Big Bazaar, fbb, Jashn, @Home, Muvizz.com among many others. About Shop CJ: Shop CJ Network Pvt. Ltd. (Formerly Known as STAR CJ Network India Pvt. Ltd) is a 50:50 joint venture between the South Korean home shopping major, CJO Shopping Co. Ltd. and the P5 Asia Holding Investments (Mauritius) Limited belonging to the Providence Equity Partners group. It operates a 24x7 home shopping channel called Shop CJ (formerly STAR CJ Alive) and a web-based portal www.Shop CJ.com (formerly www.starcj.com) and its programmes/content is broadcasted on various other channels and also available on various websites. SHOP CJ is available on major DTH and analogue & digital cable platforms. It reaches more than 85 million households in India. The channel/service was launched in 2009 and within six and a half years of its operation added 7.5 million satisfied shoppers. 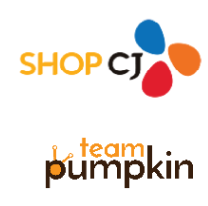 The parent company, CJ O Shopping, is the first and largest home shopping company in South Korea. Currently, it is the Asia’s largest home shopping network and World's second-largest home shopping network operating in 10 sites, including Korea, China, India, Japan, Vietnam, Thailand, Turkey and Philippines, generating $4.8 billion of sales in 2014. CJ O Shopping brings “shoppertainment” and trendy lifestyle products with value to its customers. About Team Pumpkin: Founded in August 2012, Team Pumpkin is a young and talented team of 70+ professionals across offices in Mumbai, Bangalore, and Gurgaon. Team Pumpkin believes in adding a value to products and services through their digital marketing services. It creates campaigns that attract attention and enhances branding on websites, social networks, instant messages and news feeds satisfying the needs of both the manufacturer and the consumer.